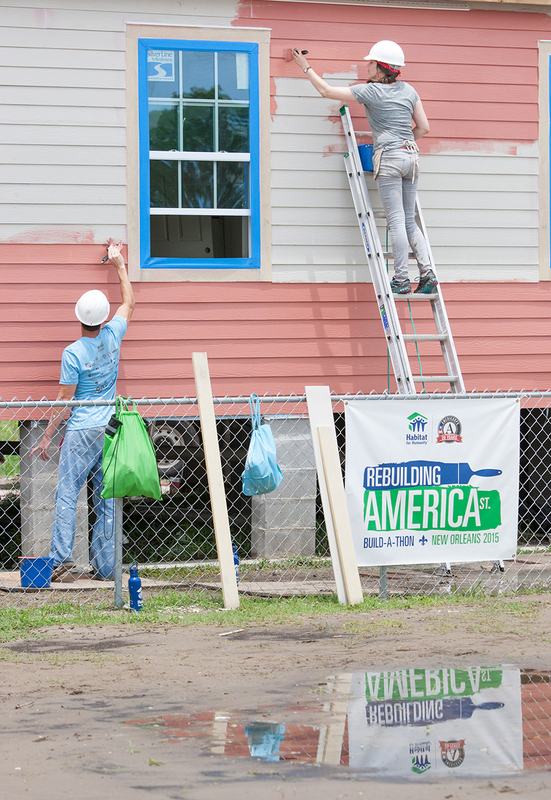 As many of you already know, Habitat for Humanity builds houses for the working poor. But not everyone knows that the program is a hand up, not a hand out. Contrary to popular belief, Habitat does not give away houses. Instead House Partners (what the people who get Habitat homes are called) must go through an application process in order to meet certain criteria (like having a full time job that will enable them to pay back a no interest loan for their house) and to work a certain amount of sweat equity hours (for example helping to build their house and/or other Habitat houses). However, when it comes to AmeriCorps… after talking with some family and friends, I realized that many people never even heard of this organization. And I hate to admit it, but if not for my involvement with Habitat for Humanity, I probably wouldn’t be familiar with AmeriCorps either. While I am no expert, what I do know is that AmeriCorps is sort of like the Peace Corps, only it is for domestic service. Americans commit to one year to serving in various roles across the country. AmeriCorps partners with other organizations and places members in service to them. Some of the programs, organizations, and institutions partnering with AmeriCorps include Boys and Girls Club, Big Brothers, Big Sisters, Camp Fire, and Habitat for Humanity. 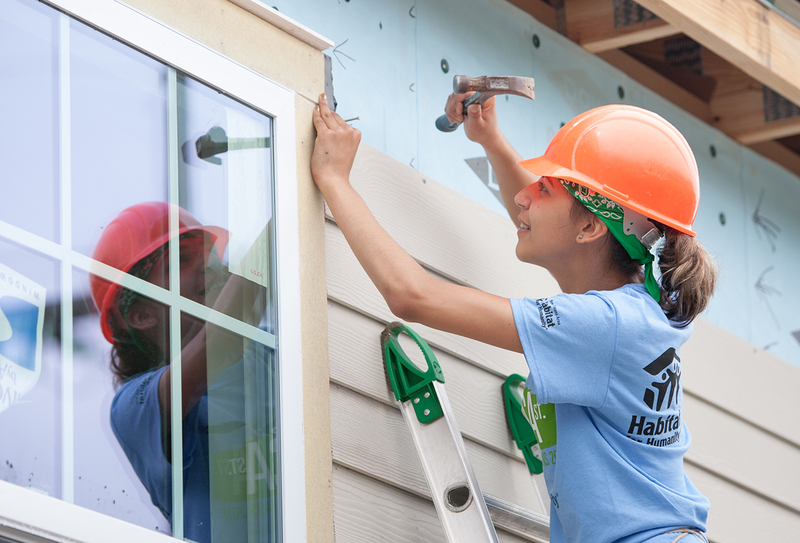 Since 1994, more than 8,000 people have served with Habitat AmeriCorps, meeting the needs of more than 20,000 families throughout the United States.